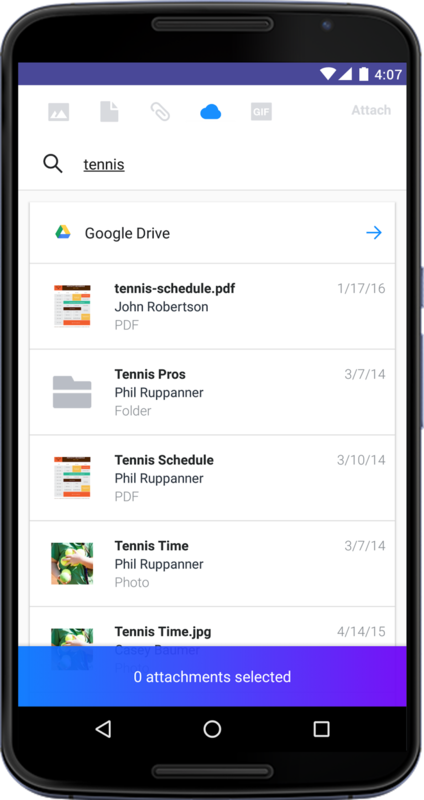 — the app that syncs files on your computer with Google Drive — is an easy way to make sure your files are safe and accessible from anywhere. Today, some new features are rolling out that’ll make your syncing and sharing experience even better. In the Yahoo Mail app, you can now add Drive files to your messages and replies. Just search for the file you want, grant access to your recipients, and it will be added to your email — no attachment needed. In WhatsApp, you can attach documents from Drive to your messages. 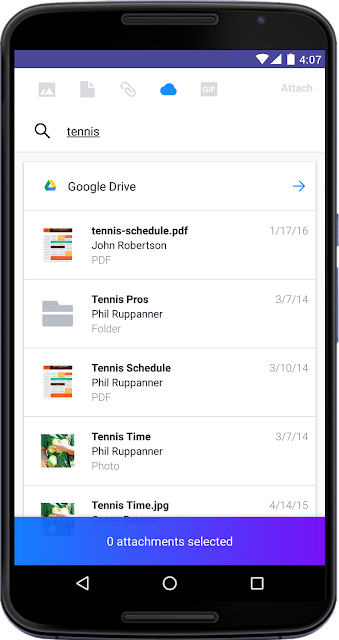 Keeping your files in Google Drive means that you can access them from just about anywhere — on all your devices. 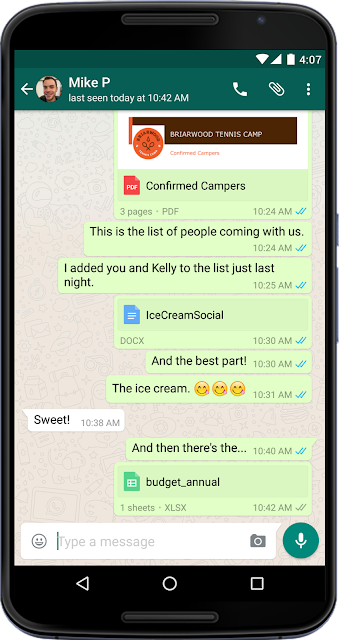 Starting today, "anywhere" also includes the Android and iOS versions of Yahoo Mail and WhatsApp. As always, thanks for trusting Google Drive with your important files (and the not-so-important ones, too). Happy 2016!